Playing as a string quartet is indisputably a high art. Those who do have to deal with many questions very soon. On one hand there are problems with the technical side of playing music: what constitutes the sound of a quartet? How does intonation work? Which one is the leading voice? How is the ideal balance found? On the other hand there are details to be worked out that have to do with interpretation: for instance, what is the special something about “Death and the Maiden”? Why is this opus so unique and how do I recognize Schubert’s style? 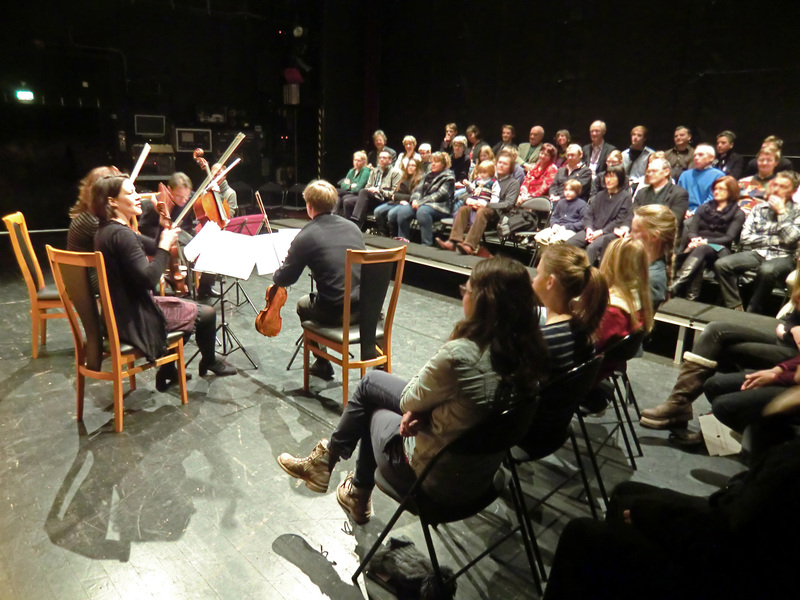 During our workshop concerts we give a little insight into our everyday rehearsal and answer many of those questions. One thing becomes clear very soon: nearly never there will be one unitary view about something when working in a group of four. But then again, think about how boring it would be, if there wasn’t anything to discuss? !